The decision to deny enrollment to the young child of a gay couple to a Catholic school in Kansas has received support from more than 7,000 people. 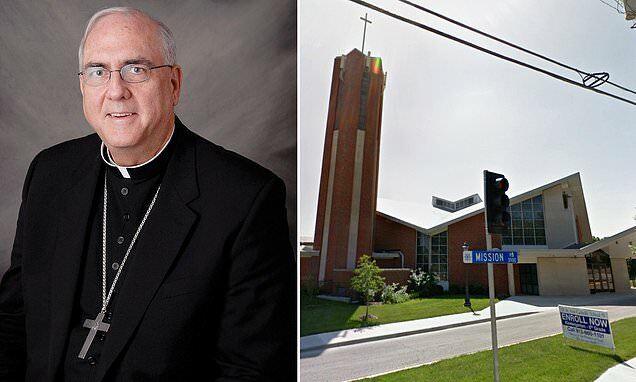 The petition, created by 'pro-life and pro-family communities', runs counter to an earlier one signed by 2,000 urging the Archdiocese of Kansas City in Kansas to allow the child entrance to Prairie Village Catholic school. The latest petition does not make clear how many of its signatures are from local Catholics, but does state it was written by 'concerned faithful' in the archdiocese. 'It is clear that the rapid secularization of our society is increasingly causing hostility to the practice of the Catholic faith,' the petition reads. A spokesperson for the archdiocese said on Thursday that they were aware of at least one petition in support of the church's decision but did not know its provenance. Local parishioners say they learned the kindergartner was blocked from attending the school when Reverend Craig J. Maxim of St. Ann Catholic Church wrote a letter to parents last month.